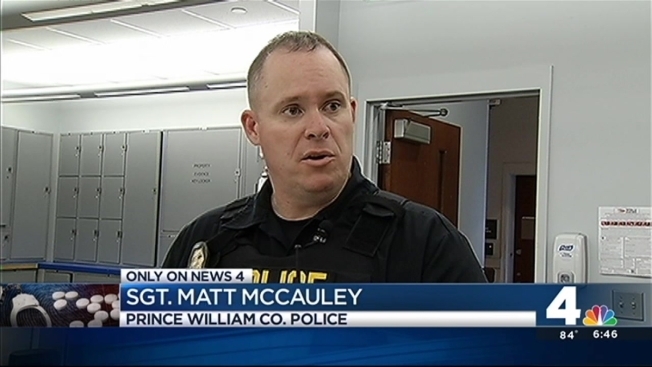 Nearly two dozen accused drug dealers are behind bars in Prince William County Friday night after major raids targeting people who sell to teenagers. Armed with 26 search warrants, Prince William County Police burst into homes and arrested 19 accused dealers from Gainesville to Woodbridge this week as part of "Operation Growing Pains." NBC4 had exclusive access to one raid. Officers banged on the door of Antonio DeFranks, 21, shouting that they had a search warrant. When no one answered, an officer used a battering ram to force open the entrance. DeFranks was escorted outside in handcuffs and faces multiple drug charges. The undercover operation began after two high school students were killed in separate drug-related incidents. Police raided homes on the 8600 block of Ellesmere Way in Bristow, the 9000 block of McClellan Common in Manassas and the 15000 block of Bannon Way in Woodbridge. The Gainesville home of a juvenile was also searched. The 26 accused dealers range in age from 16 to 34, and include females age 16, 18 and 19, police documents show. Six of the people arrested are high school students, including at Gar-Field High School in Woodbridge, Osbourne High School in Manassas and Patriot High School in Nokesville. Police are still hunting for seven of the accused dealers. The raids were conducted to fight drug use, addiction and criminal activity among youth, 1st Sgt. Matt McCauley said. "Of the 21 [people] we are picking up today, every one of those individuals was selling drugs to high school age kids ... or are themselves in high school selling to other high school kids," he said. Officers recovered marijuana, pills, guns and cash. "These are not just innocent teens out ... smoking a little bit of marijuana," he said. "The next thing you know, your son is being robbed or shot."